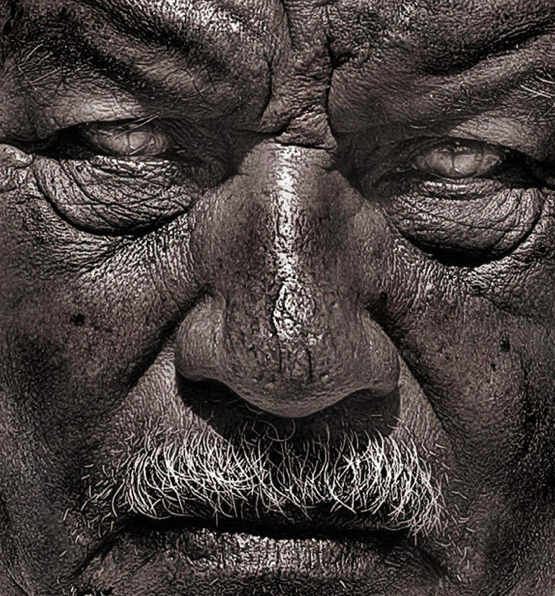 Reflection on the gospel reading: One pattern of human life which the gospels offer us is Bartimaeus, a blind man who sits by the road in Jericho. 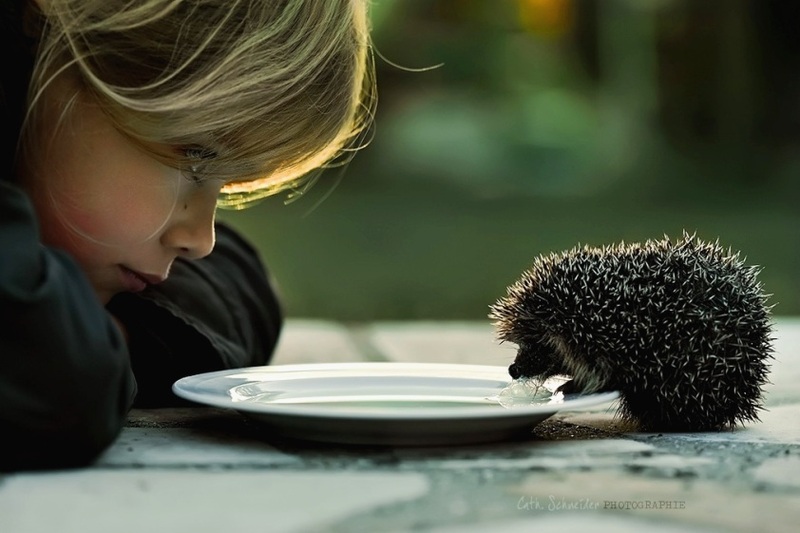 All of us, in some way or the other, sit by the roadside in some measure of need. Perhaps we have financial problems. Perhaps we suffer with some illness or physical condition. Each of us in some degree or another is afflicted with some corruption of the heart, a turning away in the soul from the true purpose of our lives. Our aspirations, our affections, and our desires too often bend toward the wrong things: wrath, greed, sloth, pride, lust, envy, gluttony, or any of a myriad of related sicknesses of soul. Bartimaeus, however, has something going for him that many of us do not. He is waiting, waiting for something. He anticipates a helping hand, and he perseveres day-by-day anticipating that someone will extend it. Bartimaeus assumes the attitude of prayer, which is an attitude of patient waiting. The gospel reminds us that Jesus is passing by, and when Bartimaeus senses the Lord’s presence, a prayer immediately comes to his lip, “Jesus, son of David, have pity on me.” It is a self-activating prayer, the prayer of the heart. When Jesus hears him, the crowd, like the Church, comes to Bartimaeus and tells him to take courage, because Jesus is calling him. Jesus asks Bartimaeus what he wants, and Bartimaeus tells him he wants to see. 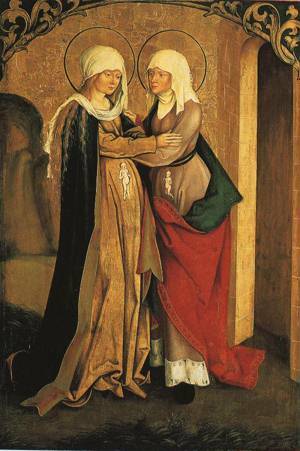 Saint of the day: Today is the feast of the Visitation of Mary to her cousin Elizabeth. This is a fairly late feast, going back only to the 13th or 14th century. It was established widely throughout the Church to pray for unity. The present date of celebration was set in 1969 in order to follow the Annunciation of the Lord (March 25) and precede the Nativity of John the Baptist (June 24). Reflection on the gospel reading: In Mark’s gospel, Jesus three times foretells his suffering and death. Today’s gospel passage relates the third time that Jesus makes this prediction. Over the last couple of days, we have seen the rich young man receive and reject a call to follow the Lord and Jesus’ subsequent teaching about the call to discipleship. Today’s gospel explains what the real price of following Jesus is and describes the nature of Christian discipleship. The gospel reading suggests that Jesus and his disciples were on the way to Jerusalem. The text indicates that the disciples were very concerned about what Jesus was doing; after all, they knew that the authorities were after Jesus and they suspected this journey could have no good end. Surely, they must have wondered if Jesus appreciated the situation, but the Lord demonstrates to them that he knows exactly what he is doing and tells them precisely what will happen to him when they arrive in Jerusalem. The sons of thunder, James and John, then come to the Lord and ask that they may sit one at Jesus’ right and one at his left when Jesus inherits his kingdom. This scene makes unambiguous that James and John still do not understand what Jesus is doing and saying; the brothers labor under the spell of a vision of an earthly kingdom. Jesus responds to their request with an explanation that the cost of discipleship is a willingness to pay even the ultimate price to reveal God and God’s way of life. 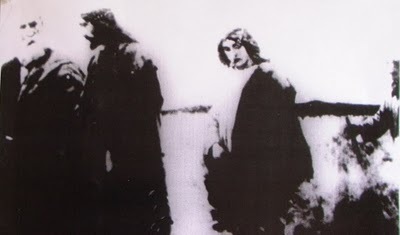 When the other disciples hear when James and John have asked to have, they naturally become incensed at their behavior. But Jesus explains to them that what they have imagined is greatness is all wrong. In the world that Jesus came to create, greatness is making oneself small, taking the lowest place at the table, washing the feet of others. True discipleship is service to others. Reflection on the gospel reading: Among the founders of the religions of the world, Jesus uniquely asked that his disciples love and follow him. Jesus is at once the founder and focus of Christianity. From the very beginning of the faith, Jesus has been the central goal of his followers, and it was Jesus’ intention that he be this. This is apparent in today’s gospel. In this passage, Peter observes that he and his companions have made a radical commitment to follow Jesus, that they have left everything to be with Jesus. And Peter’s comment elicits from Jesus an important response, that Jesus should be at the center of the lives of his disciples. 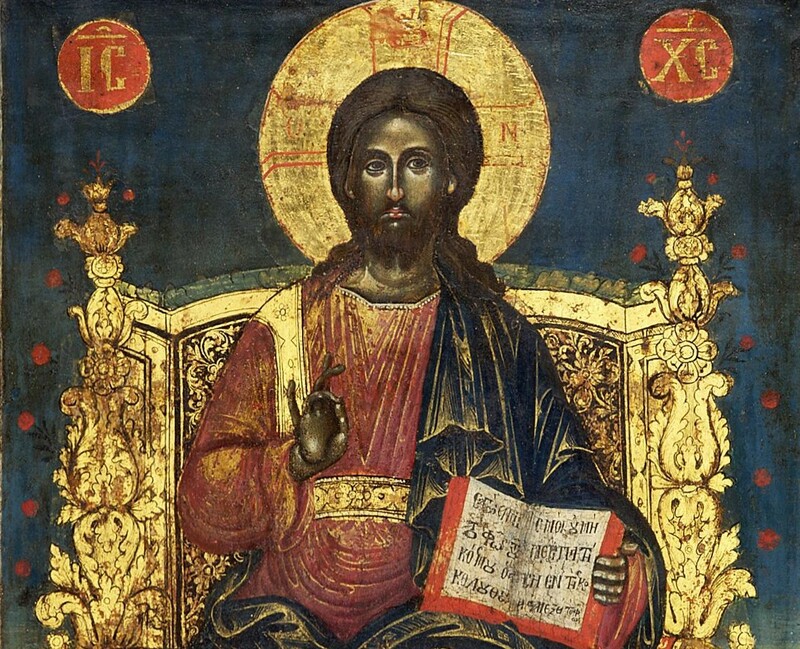 So it is at the instruction of the Master, with love for him and confidence in his teaching, that we as Church proclaim that to the glory of God the Father, Jesus Christ is Lord. 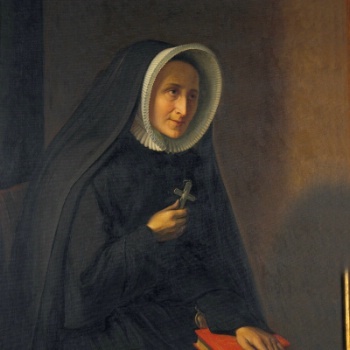 Saint of the day: Madeleine Sophie Barat was born in 1779. Her legacy can be found in the more than 100 schools operated by her Society of the Sacred Heart, institutions known for the quality of the education made available to the young. Sophie herself received an extensive education, thanks to her brother, Louis, 11 years older and her godfather at baptism. Himself a seminarian, he decided that his younger sister would likewise learn Latin, Greek, history, physics, and mathematics—always without interruption and with a minimum of companionship. 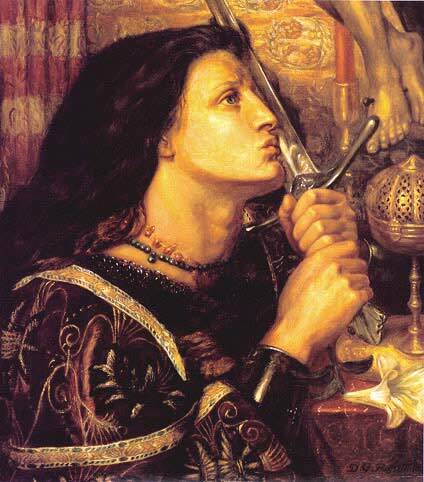 By age 15, she had received a thorough exposure to the Bible, the teachings of the Fathers of the Church and theology. Despite the oppressive regime Louis imposed, young Sophie thrived and developed a genuine love of learning. Sophie lived during the French Revolution, which saw the suppression of Christian schools. The education of the young, particularly young girls, was in a troubled state. During this period, Sophie, who had concluded that she was called to the religious life, was persuaded to begin her life as a nun and as a teacher. She founded the Society of the Sacred Heart, which would focus on schools for the poor as well as boarding schools for young women of means; today, co-ed Sacred Heart schools can be found as well as schools exclusively for boys. In 1826, her Society of the Sacred Heart received formal approval. By then she had served as superior at a number of convents. In 1865, she was stricken with paralysis; she died that year on the feast of the Ascension. As Jesus was setting out on a journey, a man ran up, knelt down before him, and asked him, “Good teacher, what must I do to inherit eternal life?” Jesus answered him, “Why do you call me good? No one is good but God alone. You know the commandments: You shall not kill; you shall not commit adultery; you shall not steal; you shall not bear false witness; you shall not defraud; honor your father and your mother.” He replied and said to him, “Teacher, all of these I have observed from my youth.” Jesus, looking at him, loved him and said to him, “You are lacking in one thing. Go, sell what you have, and give to the poor and you will have treasure in heaven; then come, follow me.” At that statement his face fell, and he went away sad, for he had many possessions. Reflection on the gospel reading: Jesus in today’s gospel calls the rich young man to an interior freedom. Jesus calls upon the rich young man to possess the freedom to make a radical choice for God no matter the personal cost. Jesus sees the rich young man is an incredibly good person but one who is possessed with superfluous attachments and preformed opinions. His wealth is more important to him than his radical gift of self to God. You and I may feel, at least by the measures of our societies, that we are not materially rich, and perhaps we may think the story of the rich young man does not apply to us. Money, however is not the only kind of riches that threaten our freedom to respond to God. Many people are in relationships of which they are afraid to let go. At work, I might have a title or a position to which I am so attached that its power over me terrifies me of what would happen if I lost the title or position. I have known people who owned things they valued so highly that these things made them profoundly unhappy. Perhaps it is my good health that I value over everything else. These are all superfluous attachments that threaten my interior freedom to put myself at the unconditional disposal of God and God’s work. God may or may not ask me to be rid of the money, the relationship, the thing, or my good health. The point of interior freedom in the spiritual life is not to do the harder thing. The point of interior freedom is to be ready to do whichever thing God desires from us in building up the Kingdom. It is the readiness that counts, and the rich young man in today’s gospel passage apparently did not have the kind of interior freedom which the work of the Kingdom demands of all disciples. Saint of the day: Antoni Julian Nowowiejski was born on February 11, 1858 in Poland. He studied in Płock and Saint Petersburg and received the Holy Orders in 1881. He became a professor and a rector of the Płock Seminary, canon of Płock and vicar general of the Płock diocese. 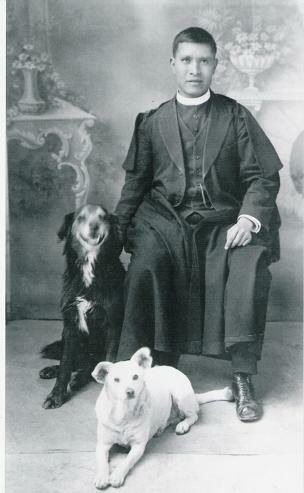 He became a bishop in 1909. As the leader of the Płock diocese he carried out an administrative reform, devoting much attention to Catholic education (among other things, he created a lower seminary). During the First World War, he was active in charitable organizations. He oversaw two diocesan synods, one in 1927 and the other in 1938, and initiated a local chapter of Catholic Action. In November 1930, he became the titular archbishop of Silyum. Nowowiejski was the author of many works of history, especially the history of Płock, and Catholic liturgy. His Parish Ceremony became a standard textbook for parish priests and went through seven editions before the World War II. The University of Warsaw awarded him a honorary title of doctor honoris causa. On September 1, 1939, the German invasion of Poland marked the beginning of the war. One of the Nazis’ goals was to eliminate the educated classes of Poles. In 1940, the Germans arrested Bishop Nowowiejski and Płock’s suffragan bishop Leon Wetmański who were imprisoned. Nowowiejski died on May 28, 1941 in Soldau concentration camp. Nowowiejski was beatified in 1999 as one of the 108 Martyrs of World War II. Reflection on the gospel reading: Today we celebrate the coming of the Holy Spirit as our Advocate whom Jesus promised. Jesus has left us with an Advocate who is good, loving, powerful, and loyal on the one hand, but wild, dangerous, unpredictable, fierce, demanding, and unyielding on the other. Because the Spirit loves us (indeed, is the very love of God for us), the Spirit comes to shatter our idols and asks from us the gift of nothing less than our total selves. Each year, Pentecost invites us to wonder at the Spirit’s outpouring on the Blessed Mother and the apostles. The feast remind us that the Spirit comes to give us peace and strength, light and joy, wisdom and discernment. The Holy Spirit, in other words, comes to make us like Jesus. But there is more to Jesus than his peace, strength, light, joy, wisdom, and discernment. There is also his suffering. The Spirit comes to annihilate all the evil spirits that afflict us, and the cost to us may not be a small one. If the Spirit molds us into Jesus, the Spirit must lead us in one way or the other to the cross. The cross may be personally destructive. It may humiliate us and prove scandalous to those who see what happens to us. The Spirit vanquishes evil, but the only truly efficacious banishment of evil we have as an exemplar is the example of our crucified Lord. To follow Jesus may require us to go to the very depths of hell to battle the demons that afflict us and our worlds. Pentecost reminds us that the Spirit comes to speak to us truths we may not want to know and invite us to walk along paths we may not wish to walk. In our most conscious and attentive moments, perhaps we ought to be afraid to ask for the Holy Spirit because the redemption we receive may not be the redemption we want. The Spirit may ask of us to live the scandal of the cross in a way neither we nor those around us may understand. Yet, as Christians, we ultimately share the hope of the resurrection, and whatever abyss the Spirit may invite us to traverse, we also know that God in the end shall right all things and that all shall be well. Jesus is also speaking to us. We naturally are concerned with what happens to the people around us, but we ultimately exercise responsibility for our own behavior. We need to keep our eye on the ball: Jesus has charged us, just as he charged Peter, to follow him. If we do this, we will discharge our duties to one another, and our single heartedness will lead us to God. Saint of the day: Today, we celebrate the feast days of 25 Mexican Martyrs who died during the Mexican Cristero War, and were canonized in 2000. The Cristero War (also known as the Cristiada) occurred throughout Mexico between the years of 1926 and 1929, and consisted of an uprising against the Mexican government of the time, set off by religious persecution of Catholics and Catholic religious (the Cristiada is the subject of a major film to be released on June 1). While the rebellion started out peacefully, following increasing fines, restrictions, and persecution and martyrdom of priests, things became more deadly. The rebels began calling themselves Cristeros because they felt they were fighting for Christ himself. Initially, written into governmental law, specific prohibitions were declared in regards to organized religion. 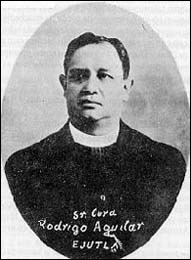 For example, wearing clerical garb in public (i.e., outside Church buildings) earned a fine of 500 pesos (approximately 250 U.S. dollars at the time); a priest who criticized the government could be imprisoned for five years. Some states enacted oppressive measures permitting only a single priest to serve the entire Catholic congregation of the state. Church property was seized, foreign priests were expelled, and all monasteries, convents, and religious schools were closed. After formal rebellion began, fighting ensued for approximately two years, until diplomatic relations and pressure from outside countries led to an uneasy truce between the Cristeros and the Mexican government. In the years following the establishment of truce, however, the government continued to assassinate religious leaders and suspected members of the rebellion, killing approximately 5,500 individuals over a ten year period. Persecution of Catholics would not cease until approximately 1940, with the election of a Catholic president. The effects of the war on the Church had been profound. Between 1926 and 1934 at least 40 priests were killed. Where there were 4,500 priests serving the people before the rebellion, in 1934 there were only 334 priests licensed by the government to serve fifteen million people. The rest had been eliminated by emigration, expulsion and assassination. By 1935, 17 states had no priest at all. While the 25 canonized martyrs all died during the Cristero War, they did not die together. Rather, their deaths were spread throughout the states of Mexico—all for pledging their allegiance to the Lord, and continuing to live and preach the Good News of Jesus Christ. Of the martyrs, all were priests, with the exception of three who were laity who served and died alongside their parish priests. Reflection on the gospel reading: Jesus continues in today’s gospel his priestly prayer for the unity of his followers. This subject, of course, is a touchy one for those of us who share in modern times the one baptism of Jesus Christ. Various rifts over the course of the history of the Church have splintered us into different traditions. In light of this experience, we might despair and be tempted to believe that Jesus’ prayer has failed and failed badly at that. But I, for my part, do not believe Jesus’ prayer has failed. The truth about God is very large indeed, and it seems impossible to me that any one narrative about God comprehends the truth about God. God has made all of us in God’s own image, and yet we all exhibit many differences. This fact suggests to me that the truth about God requires many different narratives to explain it. God needs God’s many churches to provide homes for the many narratives that attempt to explain the truth about God and appeal to the hearts of all of those of us who would believe. So I say, rejoice in our Christian plurality, for in it, we draw closer to the one true God. Lifting up his eyes to heaven, Jesus prayed, saying: “Holy Father, keep them in your name that you have given me, so that they may be one just as we are one. When I was with them I protected them in your name that you gave me, and I guarded them, and none of them was lost except the son of destruction, in order that the Scripture might be fulfilled. But now I am coming to you. I speak this in the world so that they may share my joy completely. 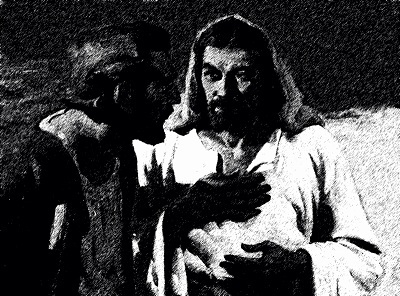 Reflection on the gospel reading: In today’s gospel, Jesus continues his prayer to the Father. He asks the Father that his apostles, and by extension, that we, may completely share Jesus’ joy. He does not ask that we be removed from the world; instead he ask that God will shelter us from its evil influences. In doing so, Jesus asks the Father that we be dedicated to the truth. A word about truth perhaps is in order. As I see it, truth is like a diamond. It has many facets. When you hold it up to the light and turn it, the light glances off the diamond in different ways; it is ever the same diamond, but it is perceived in different ways according to the place where the one who perceives stands. So we should not be too certain of our own truths as being the fullness of revelation. None of us is large enough to see what God sees. So it is that we live in an age that is increasingly comfortable with diversity. We pray with Jesus that in the midst of our diversity of cultures, backgrounds, beliefs, and practices, we always may recognize and honor, as Paul says to us in Ephesians, that there is but one Lord, one faith, one baptism, one God and Father of all. I profess that the truth is Jesus Christ, the Word of God spoken in our hearts: how that one truth plays out in individual lives is still unfolding as the mystery of all our lives unfold. Blessed be the God who keeps us in our diversity in God’s own truth. Saint of the day: Felix was the first Capuchin Franciscan ever canonized. 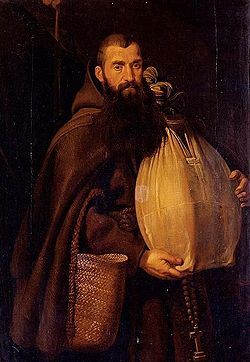 In fact, when he was born in 1515, the Capuchins did not yet exist as a distinct group within the Franciscans. Born of humble, God-fearing parents in the Rieti Valley, Felix worked as a farmhand and a shepherd until he was 28. He developed the habit of praying while he worked. 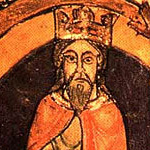 Three years later Felix was assigned to the friary in Rome as its official beggar. Because he was a model of simplicity and charity, he edified many people during the 42 years he performed that service for his confreres. 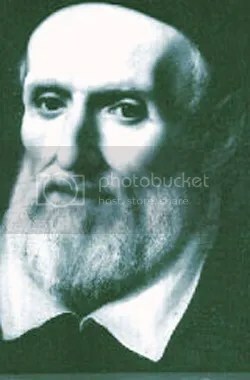 As he made his rounds, he worked to convert hardened sinners and to feed the poor–as did his good friend, St. Philip Neri, who founded the Oratory, a community of priests serving the poor of Rome. When Felix wasn’t talking on his rounds, he was praying the rosary. The people named him “Brother Deo Gratias” (thanks be to God) because he was always using that blessing. When Felix was an old man, his superior had to order him to wear sandals to protect his health. Around the same time a certain cardinal offered to suggest to Felix’s superiors that he be freed of begging so that he could devote more time to prayer. Felix talked the cardinal out of that idea. Felix died in 1587 and was canonized in 1712. 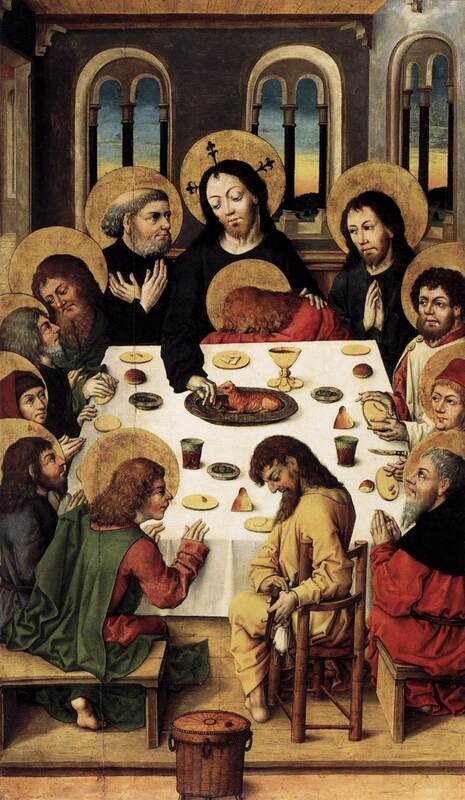 Reflection on the gospel reading: John puts the words in today’s gospel on the lips of Jesus at the Last Supper, but they are really words that the resurrected and exalted Jesus in heaven speaks even now into the ear of his Father. The words are Jesus’ prayer of recognition of what has happened to us as the result of his mission. The words are the hope to which we as Christians aspire. 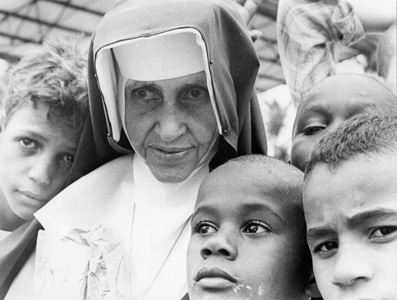 Saint of the day: Blessed Irmã Dulce Pontes, S.M.I.C., was a Brazilian Catholic Franciscan Sister who was the founder of the Obras Sociais Irmã Dulce also known as the Charitable Works Foundation of Sister Dulce (Irmã means Sister). Her work with the poor population in Salvador, Bahia, Brazil, has made her a candidate for sainthood in the Catholic Church. 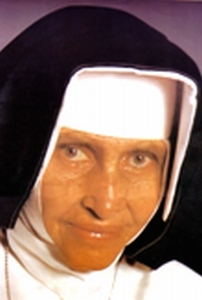 Born in 1914 in Salvador, Bahia, the second daughter of Augusto Lopes Pontes and Dulce Maria de Souza, as Maria Rita de Souza Pontes, she entered religious life when she was 18 years old. When she was thirteen years old, her aunt had taken her on a trip to the poor area of the city. The sight of the misery and poverty she encountered there made a deep impression on the young girl, who came from an upper middle-class background. She began to care for the homeless and beggars in her neighborhood, giving them free haircuts and treating their wounds. By that time, she had already shown interest in following religious life. Her father, however, did not like the idea and insisted that she became a teacher. She graduated from high school at the age of 18. She then asked her father to allow her to follow her religious calling. He agreed and she joined the Congregation of the Missionary Sisters of the Immaculate Conception of the Mother of God, in Our Lady of the Carmel Convent, in Sergipe. A year later, she received the religious habit of that Congregation and was given the name Dulce, in memory of her mother (who had died when she was 6 years old). During the same year, she founded the “São Francisco’s Worker’s Union,” the first Christian worker’s movement in Bahia. A year later, she started welfare work in the poor communities of Alagados and Itapagipe. It was then that they started calling her the “Angel of Alagados.” In 1937, she transformed the Worker’s Union into the Worker’s Center of Bahia. Determined to house sick people who came to her for help, Sister Dulce started to shelter them in abandoned houses, in 1939, in Salvador’s ‘Ilha dos Ratos’ (rats’ island) district. Then, she would go in search of food, medicine and medical care. Later, when she and her patients were evicted from the neighborhood, she started housing them in an old fish market, but City Hall denied her the use of the space and told her to leave. There, in 1960, the Santo Antônio Hospital, consisting of 150 beds, was inaugurated. 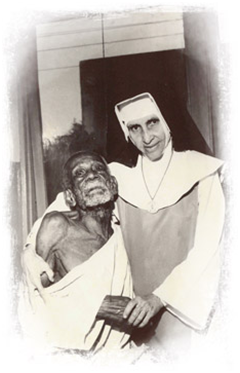 On May 26, 1959 the Charitable Works Foundation of Sister Dulce was born, a result of the determination of a Sister who was tireless in her attendance to the sick and to the beggars who lived in Salvador’s streets. Sister Dulce’s work impressed the President of Brazil, José Sarney, who, in 1988, nominated her for the Nobel Peace Prize, with support of Queen Silvia of Sweden. The organization she founded, known by its Portuguese acronym as OSID (Obras Sociais Irmã Dulce) is one of the most well-known and respected philanthropic organizations in Brazil. The Charitable Works Foundation of Sister Dulce is a private charity chartered under Brazilian law. 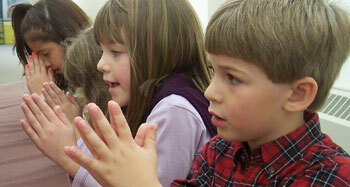 It provides health, welfare, and education services, with a strong commitment to medical education and research. The Santo Antônio Hospital is the largest completely free hospital in Brazil, according to the Federal Ministry of Health. It has over 1,000 beds and receives more than 3,000 patients everyday. The Foundation established the Santo Antônio Educational Center, a school for the poor in Simões Filho, one of the most impoverished cities in the Metropolitan Area of Salvador and in the State of Bahia. There, free educational programs are provided for approximately 800 children and young people ranging in age from 6 to 19 years old. It also operates a commercial bakery and an orthopedic production center, staffed by professional workers, which produce and sell their products in many regions of Brazil and even internationally, following the idea of self-sustainability, which is part of the work concept created by Sister Dulce. During the last 30 years of her life, Sister Dulce’s lungs were highly impaired and she had only 30% breathing capacity. In 1990, her respiratory problems began to worsen and she was hospitalized. After being hospitalized for 16 months, Sister Dulce died on March 13, 1992, at the age of 77, in Santo Antônio’s Convent, and she was buried at the Basilica of Our Lady of Conception. On June 9, 2010, Sister Dulce was finally buried at the Imaculada Conceição da Madre de Deus church in Salvador, Bahia. It was discovered that her body was naturally incorrupt and even her clothes were still preserved 18 years after her death. Her cause for canonization commenced in 2000 just eight years after her death, and she was beatified on May 22, 2011.